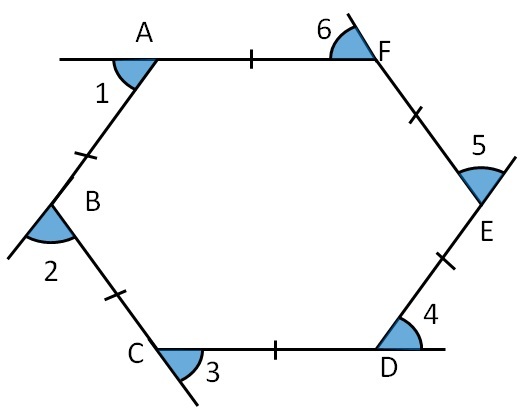 ∠1, ∠2, ∠3, ∠4, ∠5 and ∠6 are the exterior angles of Regular Polygon. All exterior angles of a Regular Polygon are equal. ∴ ∠1 = ∠2 = ∠3 = ∠4 = ∠5 = ∠6.